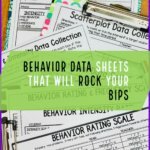 Recently I’ve had several cases in which students engage in challenging behaviors to gain attention and would benefit from the opportunity to be a helper in the classroom. 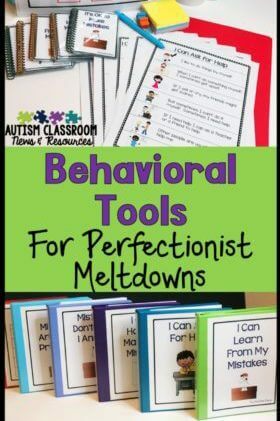 For some, scheduling times for them to be a helper, or giving them helper roles on the fly, can be helpful in keeping them engaged and out of trouble while getting them positive attention for positive behavior. This of course helps to reinforce those positive behaviors. For some of the students it is difficult to find motivators for appropriate behaviors. Their teachers indicate that nothing is reinforcing for them and sometimes even praise backfires and produces negative behavior. Often these are just the students who need opportunities to shine and gain attention for appropriate acts, like helping others. 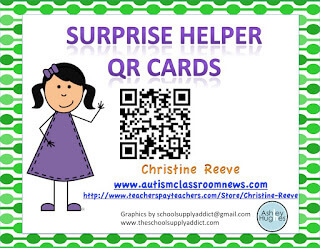 And sometimes you can use the helper role as something the student can earn. 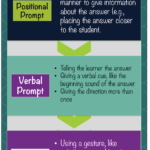 Whether they earn it or are given it proactively, helper roles are a great way to foster good behavior and help gain attention in a good way. 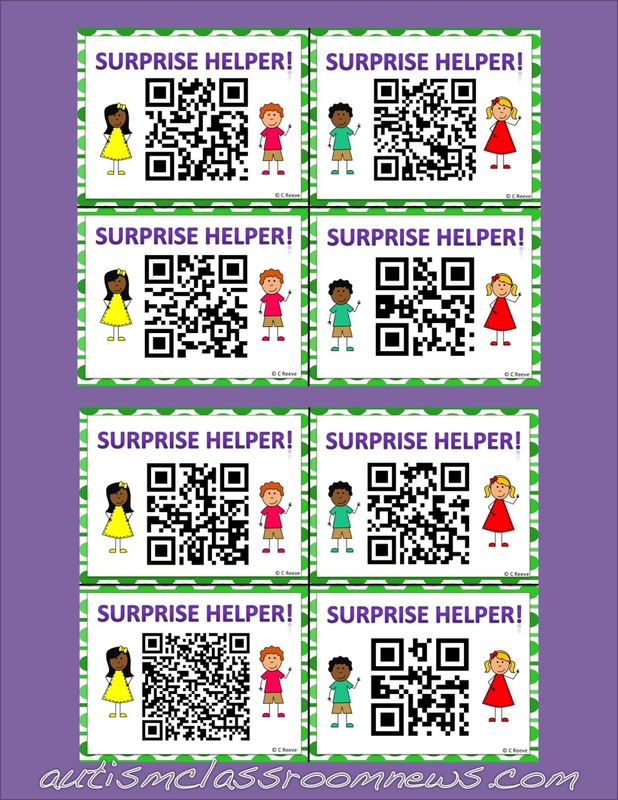 Another way to keep reinforcers fresh for students is to use surprise in who gets it and in what they get. 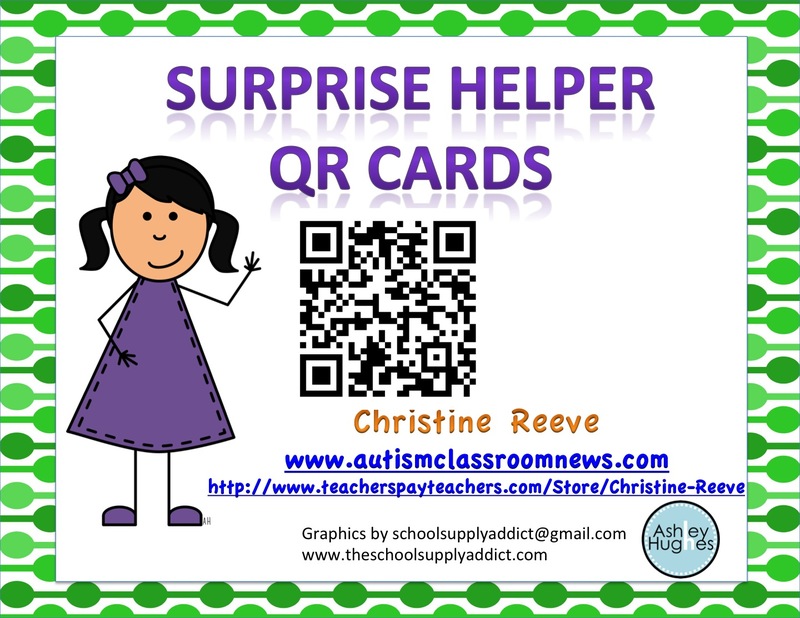 This can be done in a number of ways from random number generators, to putting students’ names in a hat each time they are caught being good and drawing one out at random and so on. Another way I thought of adds the appeal of technology by using QR codes. 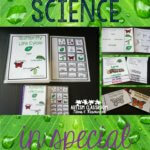 Click here to download the cards from my TPT store. If you want to make your own to supplement or replace these, it’s easy and free to generate a code at a number of websites like this one. 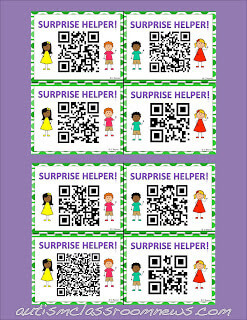 Have you used QR Codes in activities? I’d love to hear about how it worked! Love these ! May I ask what the scout for specials does? Thanks! You have such great ideas! Yes, that's a good question–thought I described that somewhere but perhaps not. The scout gets to go ahead of the class to specials and either come back and report back whether the specials teacher is ready, or help the specials teacher get set up for the class. Glad you like them! 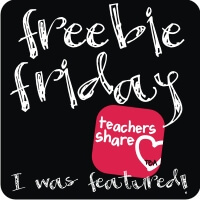 Also, I can't thank you enough for supporting my TBA's Freebie Friday! I'm following you everywhere now! Thanks Fern for offering the Freebie Friday! It's a great resource for bloggers and followers! I've been following your blog for a while now. Thanks for making contact! !